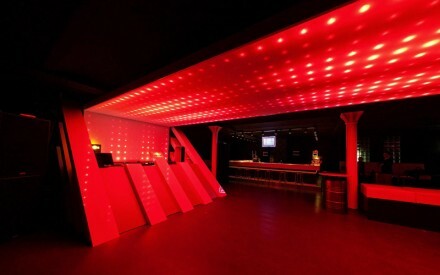 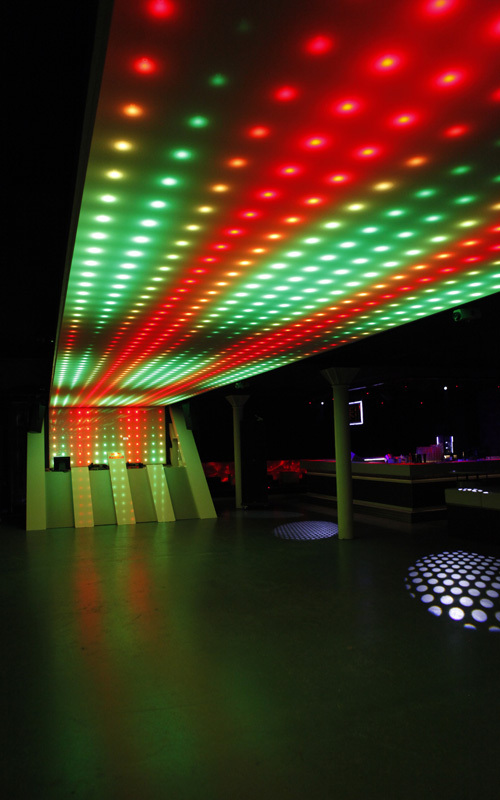 Our famous „Pixeldecke“ club lighting tool in a new set up – MOON Club Berlin. The great DJ front desk made by the 6VORNE interieur designers suits it pretty well. 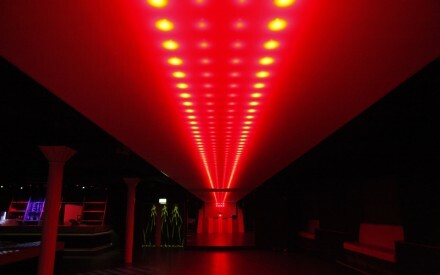 The mirror at the opposite end reflects the ceiling to its double size. 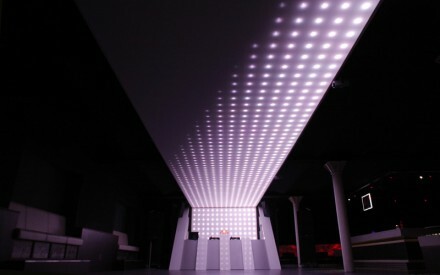 Its total amount of 900 single controllable LED full color pixel dots makes this installation again a unique piece of club lighting art.